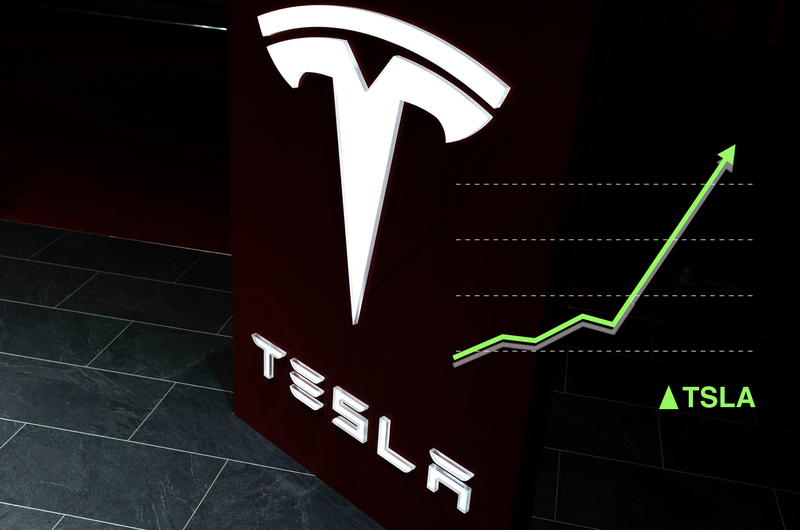 As can be expected from the massive amount of preorders for the Tesla Model 3 before, during and after its unveiling on Thursday night, the $TSLA stock price hit its highest numbers in six months on Friday. The numbers surprised Tesla CEO Elon Musk, and trumped investor predictions as well. Perhaps the most interesting numbers from Tesla’s Model 3 unveiling were the predictions by investors, which estimated early sales on the car to be far lower than they actually were. According to Time, an investor survey conducted prior to the unveiling had predictions at 55,000 Model 3 orders during the first 72 hours and 117,000 by the end of this year. From the numbers tweeted out by Musk, investors were way off. A total of 115,000 people pre-ordered the Model 3 before even seeing the car, and the manufacturer pocketed $115 million due to $1,000 refundable deposits for each order placement. That’s 2,000 orders short of what investors gave the car for its entire first year, all placed in the hours before its debut. Musk later tweeted that as of Saturday night, Model 3 orders were at 276,000 and those on the list would receive geographical preference in receiving the cars. The unveiling “exceeded all expectations,” Evercore ISI analyst George Galliers said in a client note. “To us the vehicle is ‘the game changer’ and will likely play a critical role in Elon Musk’s desire to expedite the auto industry’s transition from internal combustion engine to electric,” he said. The numbers are unprecedented for Tesla as well, a company founded in 2003 that has only delivered about 100,000 cars in its lifetime. It may be years before those who placed preorders get to enjoy the car, though, because unexpectedly high order numbers could push production for the current list of nearly 300,000 potential owners into the year 2020—so long as they all complete the order.